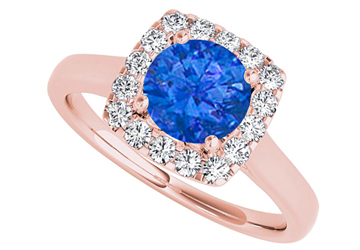 Cubic zirconia and created sapphire halo engagement ring in 14K rose gold. Beautiful center stone sapphire is placed delicately over the ring in prong setting. CZs look wonderful. 1.50 CT TGW.